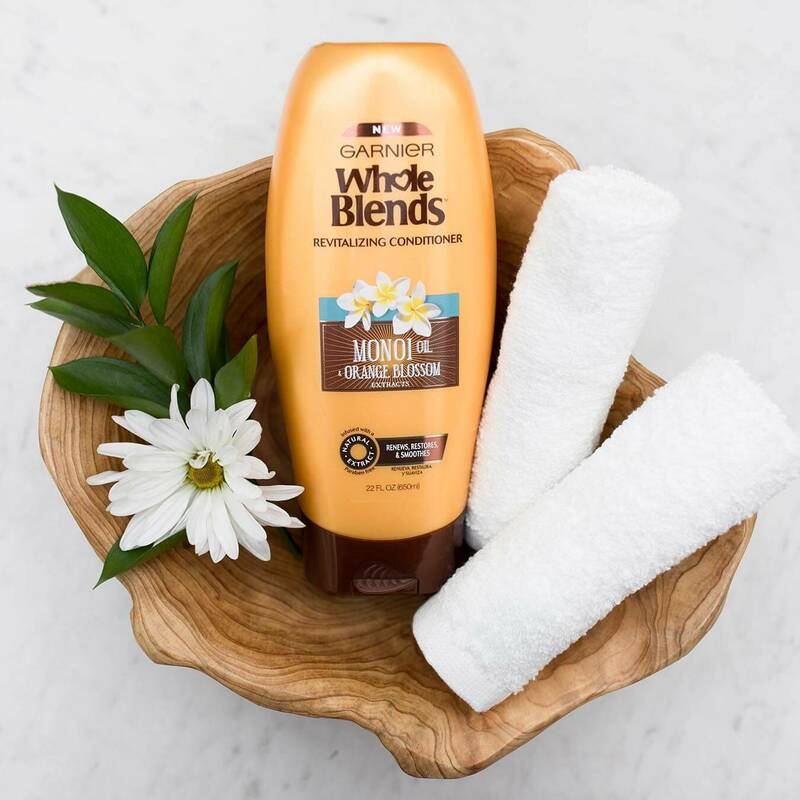 Our nourishing, silky Revitalizing Conditioner formula blooms with a floral, tropical aroma of Monoi oil & citrusy Orange Blossom, bringing to life our wholesome care that restores dull, dry hair, exclusively at Walmart. After shampooing, apply a generous amount of conditioner to hair from root to tip. Gently work through hair, then rinse. "AQUA / WATER / EAUCETEARYL ALCOHOLQUATERNIUM-87PARAFFINUM LIQUIDUM / MINERAL OIL / HUILE MINERALEBEHENTRIMONIUM CHLORIDECETYL ESTERSGLYCERINCI 19140 / YELLOW 5CI 14700 / RED 4COCOS NUCIFERA OIL / COCONUT OILTOCOPHEROLHYDROXYETHYLCELLULOSEPHENOXYETHANOLLIMONENEBENZYL SALICYLATEBENZYL ALCOHOLLINALOOLVANILLA PLANIFOLIA FRUIT EXTRACTPROPYLENE GLYCOLISOPROPYL ALCOHOLCAPRYLYL GLYCOLGARDENIA TAITENSIS FLOWERCITRONELLOLCITRIC ACIDCITRUS AURANTIUM AMARA FLOWER OIL / BITTER ORANGE FLOWER OILHEXYL CINNAMALPARFUM / FRAGRANCE F.I.L. D207632/1"
Rated 1 out of 5 by Camila from Okay... I bought this a month ago and I definitely enjoyed the scent! I immediately bought once I smelled it. I like strong scents so if someone is sensitive to strong scents this might not be for you. I tried it out for a few week and waiting and hoping that it would make my hair soft like it promised. Unfortunately it made my hair very greasy and oily in my scalp. I have thick curly/wavy hair that has a lot of frizz, and the oiliness didnt help with that. Rated 5 out of 5 by Musi from Super Thick! I've got wild, thick, curly hair that I use vibrant dyes on twice a month and bleach every three or so, so my hair is really run through the ringer. This is really great though, I use it once a week, conditioner on the tips and it works wonders. Fantastic stuff. 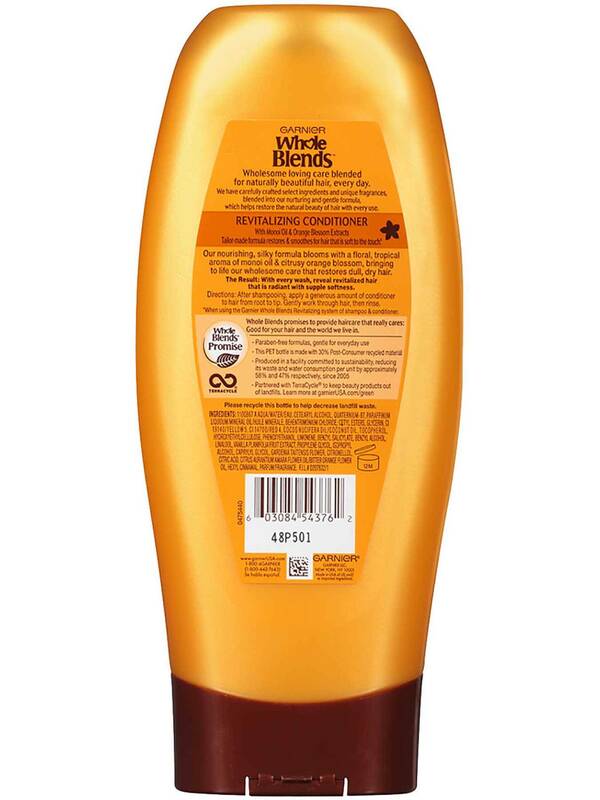 Rated 1 out of 5 by Rboo72 from Tried didn't like I loved the smell of this conditioner, and over all have not had a problem with the conditioners I have tried in the whole blends line of products. I found that the Legendary Olive works the best for my hair. Others my enjoy this blend, but for my longer, color treated dry ends hair...this just did absolutely nothing that I had hoped. And my only hope was that it was just as moisturizing as the Legendary Olive, but with a yummy scent. So I have switched back. This formula may work for some but not me. I have hope that this conditioner may work on my sons hair, which is naturally curly/ multi ethnic hair, not very long and never chemically altered. So there is still hope for the lone bottle of conditioner, but I do not plan on repurchasing ever. Rated 5 out of 5 by Denae from Clean I loved this it gave my hair a new life. Made it feel clean for 2 days .. I recommend this to anyone! Rated 5 out of 5 by sconiers from Orange Blossom Special I have very long color treated hair and usually only use salon products on my hair so I was surprised when I used the Garnier Revitalizing Conditioner with Monoi Oil & Orange Blossom extracts. I was able to comb through it with more ease that I thought possible with store brand conditioner and for the price this is a plus. It also gave my hair shine and a healthy look to it that I was happy with. Rated 5 out of 5 by Catiepaige from I am so in love with this conditioner!!! This conditioner is amazing. I have no complaints about it! It smells soooo good! It fills the shower with how amazing it smells, but it doesn't cling to you once your hair is dry. It leaves a very light, wonderful smell behind that isn't heavy or cloying. I also love how thick and creamy this conditioner is! It feels more like a hair mask and I'm so in love. It feels super luxurious! It also moisturizes my hair very well and makes it super soft! This is a must-have conditioner!! Rated 5 out of 5 by CrystalaB55 from Garnier revitalizing hair conditioner This garnier revitalizing conditioner is light weight with moisturizing power. I have frizzy straight hair. This conditioner from garnier tamed my frizz while not weighing my hair down. I love the smell. I will definitely be buying this conditioner. I have also been using it on my daughter, brushing out her hair has been so easy. The tangles literally fall out during conditioning. Its amazing. Im impressed. Rated 4 out of 5 by ColoradoJJ from Great Scent, Left Hair Soft, Shiny! 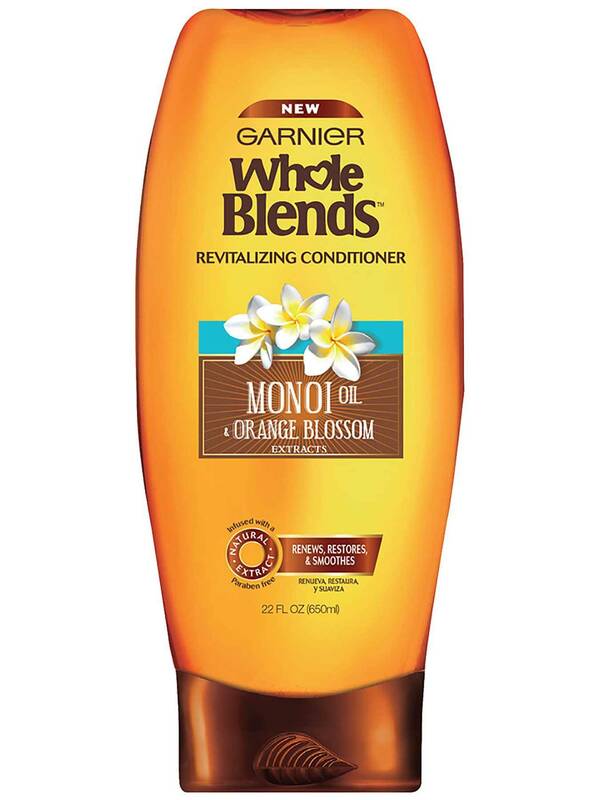 I have become a fan of Garnier's Whole Blends Monoi Oil and Orange Blossom Extract shampoo and conditioner. The fragrance is a floral, feminine blend of Tahitian Gardenias and Orange Blossoms. The conditioner was creamy and easily applied. Once dried and styled, it left my hair feeling soft, supple and shiny. I would buy this conditioner again!